France in London | Former French president, Jacques Chirac, condemned by Paris court. 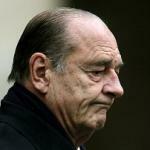 Former French president, Jacques Chirac, condemned by Paris court. On 15th December , Jacques Chirac and eight former colleagues from his time as mayor of Paris were found guilty by a Paris court. Their crime ? - generating funds for their political activities by adding fictitious employees to the City hall payroll. Not himself in court for the verdict, the ex-president was given a two-year suspended sentence. This is the first time ever in France that a former president has been brought before the court and found guilty of such a crime. Many are wondering whether it is right that presidents cannot be tried whilst in office - if there is enough evidence to convict, why wait ? In the judgement of the court, Chirac was guilty of misuse of public funds in the 90s during his time as Mayor of Paris and Head of the RPR political party. His remaining political allies consider the sentence to be harsh, not least because Jacques Chirac is believed to be suffering from age-related loss of mental powers and has therefore not been in a position to defend himself properly. Conversely, and not surprisingly, his political opponents see the judgement as absolutely justified and as confirmation of the freedom and independence of the judiciary. Whilst continuing to protest his innocence, Jacques Chirac has indicated that he will not be appealing against the verdict feeling himself physically and mentally unable to carry on fighting for the ‘truth to be recognised’.